Review by Christoph de Jouvancourt. Fotos: Nguyen Marc. Chor: Kader Belarbi — with Takafumi Watanabe. Foto Nguyen Marc. 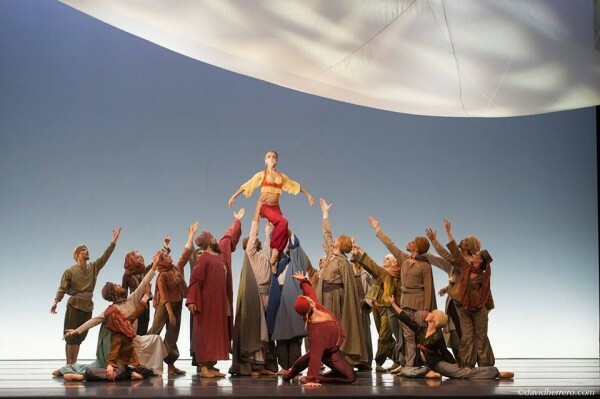 PARIS/FRANCE: Created in 1949, the renowned Ballet Capitole of Toulouse appeared for the first time on a Parisian stage, in the famous Theatre des Champs-Elysées to present Kader Belarbi’s version of The Corsair. 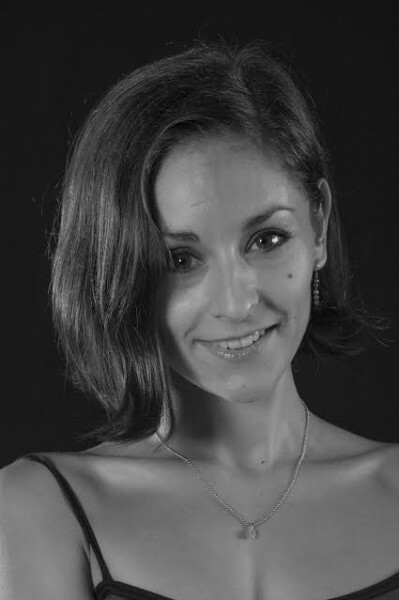 Etoile of the Paris National Ballet, Kader Belarbi has taken the helm of the Ballet Capitole of Toulouse since 2012. He recently received the price of the “Best Choreographic Personality of the Year” by the Professional Association of Theatre, Music and Dance Critic at the Theatre of Chaillot in Paris. Such an event creates great expectations, but the Parisian audience was completely captivated and there were long ovations at each performance. From Le Corsaire with Ballet Capitol de Toulouse. The ballet The Corsair has a complicated but interesting history. Created in 1856 in Paris by Joseph Mazilier, based on the epic poem by Lord Byron, on a music by Adolph Adam, the ballet had a great success for two years, before being completely forgotten, even if it was last performed for the Universal Exhibition in 1867. It had a second life in Russia, as Jules Perrot created his own version in 1858 and then Marius Petipa until 1899. The audience had to wait more than a century before Alexei Ratmansky recreated this beautiful ballet for the Bolshoi Theatre in 2007, respecting the Petipa’s version. Kader Belarbi, faithful to a French tradition and his will to preserve the academic repertoire by adapting it to our times, created his own version of The Corsair in 2013. Based on the original music by Adolph Adam, Belarbi did a great work to enrich it, with the help of David Coleman, famous conductor, aiming to create a more modern and dramaturgic effect. In this purpose, he also distanced himself from the Lord Byron’s poem to write a new version of the story, and invited artists from the movie industry to work with him and create a cinematographic ballet. Thus, Belarbi offers to the audience a completely new lecture of the emblematic ballet The Corsair, and succeeds in combining tradition and modernity. The choreography is very interesting, as it keeps the codes of the academic narrative ballets, but also adopts a lighter language, which is good to catch the audience’s attention. Belarbi has a clever and very delicate choreographic style, and ingeniously adds some humoristic touch. It can disturb a purist audience, used to more classical sequences, such as folkloric dances or great variations in the Russian style, but it is also a more delicate approach. In the Belarbi’s choreography, everything is flowing and the pantomime sequences are also easier to follow. La Corsaire at Theatre des Champs Elysees, Paris. Belarbi also develops the characters’ personality, giving them more density than in the Petipa’s version. the Beautiful Slave appears as a more tragic figure, fighting to escape to her destiny and brutally treated by the Sultan. It contributes to give more intensity to the story. Julie Charlet, as the Beautiful Slave in Paris, is a very sensitive and expressive ballerina, who gives intensity to her character of the Beautiful Slave and shows a great technique in her solos. Foto David Herrero. The dancers are of great talent and the well-known heroic parts of the pas-de-deux, often danced during galas, are brilliant. Those parts are also more integrated to the whole choreography than in a traditional classical ballet. Julie Charlet, trained at the National Ballet School of Marseille and former soloist at the Northern Ballet, is a very sensitive and expressive ballerina, who gives intensity to her character of the Beautiful Slave and shows a great technique in her solos. See portrait photo by David Herrero. Also, Norton Fantinel, who dances the Sultan, and Davit Galtsyan, who dances the Corsair, are both very strong men who excels in jumps, tours and portés. while Davit Galtsyan, who was formed at the Armenian National Academy and the Royal Ballet School of London, is a joyful and heroic Corsair. Maria Guttierez as the Beautiful Slave in Le Corsaire. The only drawback might be the scenery, which is very poor, even if very sober and delicate. The work made by Sylvie Olivé is very delicate, but maybe too fade for a ballet like The Corsair. Maybe it is because of a lack of credits, but one could have expected more exotic and sophisticated sets. On the contrary, the costumes, made by Olivier Bériot, are exquisite. They highlight the lines of the dancers and transport the audience in an oriental universe while avoiding clichés. Kader Belarbi succeeded in giving a new direction to this now famous company, recreating academic ballets of very high quality, while being opened to modernity. The Corsair, such as Gisele (2015), are two remarkable examples of his artistic direction. The Ballet Capitole of Toulouse is, for some decades now, one of the most prestigious French companies with a classical repertoire, such as the Ballet of Bordeaux, directed by Charles Jude, and more recently the Ballet of Nice, since Eric Vu-An has taken its helm. Those companies must be invited more often in the Parisian theatres.